The Juried Community Exhibition is open to artists of all ages that produce both 2-dimensional and 3-dimensional artwork of any subject. 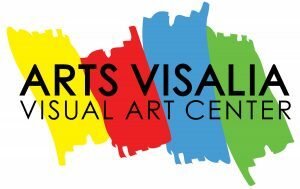 Original art will be accepted in the following media categories and not previously shown at Arts Visalia: 2-D Mixed Media, 3-D Mixed Media, Ceramics, Fiber, Glass, Graphics/Printmaking/Drawing, Jewelry, Metalwork, Painting, Photography/Digital Art, Sculpture, and Woodwork. Work will be juried based on composition, quality, authenticity, creativity and originality, uniqueness, presentation/craftsmanship, and overall balance. Deadline Entry Submissions: All forms and artwork are due to Arts Visalia between Saturday, May 18th and Saturday, May 25th to be considered for the June Juried Community Exhibition. Gallery hours are noon-5:30 p.m. Wednesday through Saturday. There is a $25.00 non-refundable application fee for first entry, $5.00 for each entry thereafter (up to 3 entries total). Not all entries may be displayed. Gallery staff will contact individuals of artworks that have not been juried into the show on Saturday, June 1st by 4:30 p.m., for coordination of pickup of these artworks. Awards: $100 best of show award juried by a professional art leaders’ panel, $100 people’s choice award on the opening reception evening. Winners will be announced at the opening reception First Friday, June 7th from 6-8 p.m.